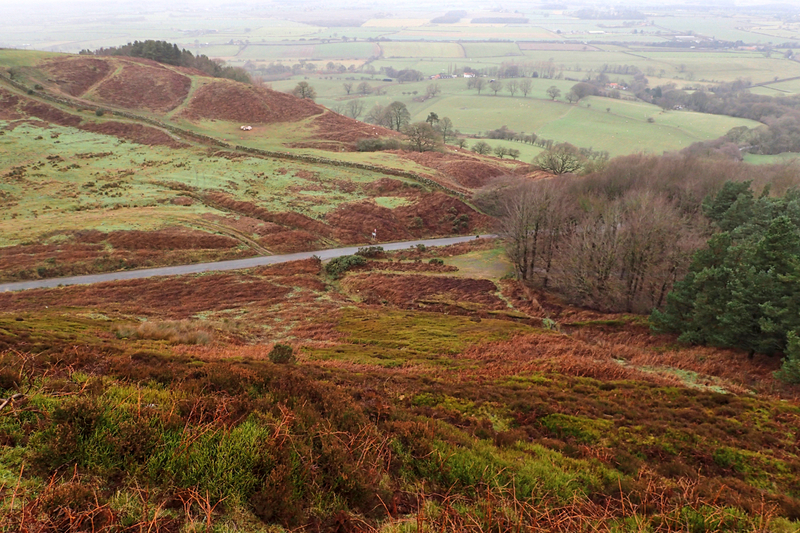 The road from Swainby to Osmotherly climbs Scarth Nick, a col on the escarpment of the Cleveland Hills. The name itself derives from the Old Norse ‘skarthi‘ meaning a notch or cleft. This view is looking down on the cleft from Whorlton Moor. The road is following a route dating from antiquity, following the old drovers’ road south past Black Hambleton to markets at York and Malton. To the North, the route forded the Tees at Yarm passing through the marshy forests of the lowlands. The nick was formed towards the end of the last glacial period when a lake of meltwater trapped between the glacier and the escarpment overflowed. The torrent of meltwater pouring through the gap cut the distinctive ‘V’ shaped valley.